Patricia ‘Patty’ Omel, age 71, of Grand Island, passed away Saturday, September 8, 2018, at Tiffany Square in Grand Island. Funeral Services will be held 10:00 A.M., Thursday, September 13th at the Evangelical Free Church, 2609 South Blaine, Grand Island. Rev. Dan Brenton will officiate. Interment will be in the Aurora Cemetery at 1:00 P.M. following the church service and lunch. Visitation will be from 5 – 7 P.M. Wednesday at the Evangelical Free Church in Grand Island. The family will greet friends from 5:30 – 6:30. Memorials may be made in care of the family to be designated at a later date. Higby-McQuiston Mortuary in Aurora is in charge of arrangements. Condolences may be e-mailed to the family through the mortuary website at www.higbymortuary.com. Patricia Ray (Hosier) Omel was born July 8, 1947 in Grand Island, Nebraska to Dale Wilbur and Donna Ruth (Stevenson) Hosier. Pat passed away on September 8, 2018 in Grand Island at the Tiffany Square Nursing Home. Known as Patty in her grade school years she attended two rural Hamilton County schools. At the time Aurora consolidated all of their rural schools she began the daily long bus rides to Aurora. Pat was a 4-H member for many years in clubs led by her mother with whom she learned to cook and sew her own clothes. Patty was baptized at age 10 along with her parents at the Phillips, NE United Methodist Church. In 1959 Pat’s family moved to a farm two miles west of Giltner, and entered Giltner Public Schools at seventh grade. During her last two years of high school Pat worked after school and during the summer in the office at the Giltner Coop Elevator. 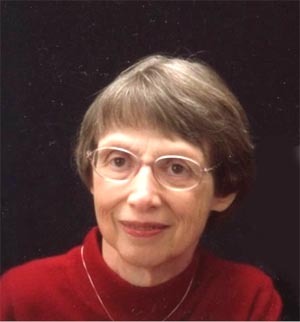 She graduated from Giltner High School in 1965 and then continued her education at Kearney State College. Pat’s first full-time job was in the Accounting Dept. in the New Holland plant when it first opened in 1967 at Grand Island. She then moved to Lincoln where she worked at Bankers Life Insurance. On Dec. 30, 1967 Pat married Jim Omel at the first Methodist Church in Giltner, Nebraska. After Jim graduated from the University Of Nebraska College Of Pharmacy they moved to Omaha for med school at the UN College of Medicine. In 1974 they moved to Wichita, Kansas for residency and in 1978 they moved their young family to Lexington, Nebraska to begin practice at the Plum Creek Medical Group. While living there Pat learned to play tennis and worked part-time at the Federal Land Bank to see if she could still function in the adult world after devoting all of her time to their four small children (which her husband admits she did exceptionally well). In 1981 the family moved again, this time to Fairbury, NE where he worked at the Fairbury Clinic. During their ten years in Fairbury Pat worked part-time at the State Farm insurance office and was a member of PEO. Pat’s family was the highlight of her life. She loved being a room mother, teaching Sunday school, Bible school and sitting on the bleachers during all kinds of sports activities, plays and concerts. In 1988 Pat was officially diagnosed with Multiple Sclerosis, a devastating illness she endured with amazing grace and patience the rest of her life. After moving to Grand Island she served on the board for the Center for Independent Living (an advocacy group for disabled people) for eight years, including a stint as chairperson. She is survived by her husband Jim of 50 years and 9 months, her brother Steve (Kathy) Hosier, sister Jeanni (Gus) Gustafson, children: Rhonda (Larry) Ballance of Omaha, Ryan (Jen) Omel of Lincoln, Heather Omel of Salt Lake City, Utah, and Tucker (Sarah) Omel of Omaha, grandchildren, Gunner (Tiara) Brown, Melissa (Matt) Teinert, Jordan (Kallee) Ballance, Ellie, West, Tasha, Dane, Rowen, Brooks, Jackson, Luke, Drew, Conner, Chloe, and great-grandchildren.